Here's the thing about receiving roses from a florist. The peak moment occurs five minutes after they're delivered, once the cellophane's been tossed and the card tucked away. You admire, sniff, maybe tinker with where to place them. After that, your artful arrangement becomes a slowly withering burden. To do: Change slimy water. Pluck browning petals. Toss the dead ones. Ugh, it looks all messed up now. Get bud vases from a top shelf somewhere. Place in bathroom. FORGET IT. Throw everything in the trash and curse every crumpled leaf in your wake. Hope Mark didn't read that. I swoon for Belle Fleur's exquisite bouquets and their impossible lifespan. So what's a better alternative? A beautiful scent. But if the bottle's not much to look at, you get the same visual joy. And if the master perfumer didn't quite pinpoint that elusive fresh-picked, straight-from-the-garden scent, you're left with a cubic zirconium version of the real thing. Phony florals are not for me. And artificial rose scents give me a headache. So there's that. But I still sniff my way through each season's fragrance launches, in search of a composition that is just right. Hopeful and eager like Goldilocks sampling bowls of porridge. As luck would have it, a new rose-based fragrance from Annick Goutal arrived just launched. Now, I have a longstanding love affair with Annick Goutal Petite Chérie, a fresh peachy scent. But Annick Goutal's new Rose Pompon delights the senses in every way, from its elegant pendant-adorned bottle to the masterful blend of notes. The overall experience captures that elusive (and fleeting) moment of seeing and smelling a fresh-plucked rose. But without the aftermath of watching them wilt and wither. Each whiff includes a balance of sparking blackcurrant and raspberry, along with spicy pink pepper, cedar and white musk. The primary note, rose pompon, comes from the rose centifolia species (a specific cabbage rose from Provence that was developed in the 17th century by Dutch rose breeders). Annick Goutal Rose Pompon contains a blend of multiple small pale pink flowers, including velvety pink peonies, taif rose, Bulgarian rose essence, not simply a basic rose. I suspect that the addition of those non-rose notes contribute to the complex, realistic dupe of a fresh real rose. "A mischievous glance, charming smile, burst of laughter... the rose pompon woman exudes joie de vivre. Rose Pompon is the story of this young Parisian woman. She seduces everyone with her irresistible bird-like grace." 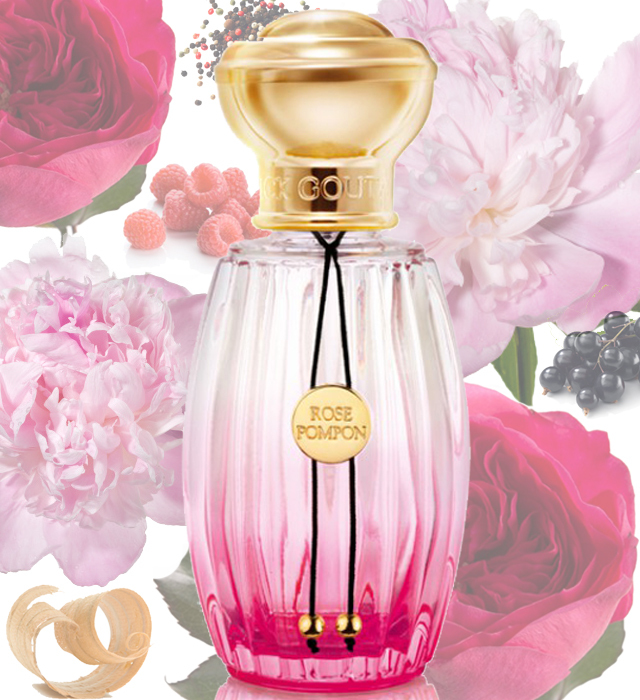 Rose Pompon is housed in Annick Goutal's iconic striated glass bottle, topped with a regal golden cap. This bottle features an added visual bonus: gradient pink-to-fuchsia tint that reminds me of the coloration of nature's true rose petals. 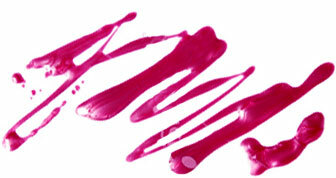 Not the kitschy all-red Valentine's Day palette. Annick Goutal Rose de Pompon eau de toilette spray, $149, just launched this month. Available at annickgoutal.com.